The latest UK government statistics show the lowest rate of road casualties since records began in 1926. The latest Department for Transport road casualty statistics show a decrease in road casualty figures, the lowest number since records began in 1926. The number of people killed in road crashes reported to the police decreased to 1,754 in 2012 from 1,901 in 2011 (a fall of 8%). The number of people seriously injured decreased by 0.4% to 23,039 in 2012 from 23,122 in 2011. The total number of casualties in road crashes reported to the police in 2012 was 195,723, down 4% from the 2011 total. Total reported child causalities (ages 0-15) fell by 11% to 17,251 in 2012. The number of children killed or seriously injured also fell, decreasing by 6% to 2,272 in 2012 from 2,412 in 2011. There were 420 pedestrian deaths, 7 per cent fewer than in 2011. The number of cyclists killed rose by 10 per cent from 107 in 2011 to 118 in 2012. The number of car occupant fatalities in 2012 decreased to 801, down 9 per cent compared with 2011. The number of seriously injured car occupants in crashes reported to the police fell by 1 per cent to 8,232. 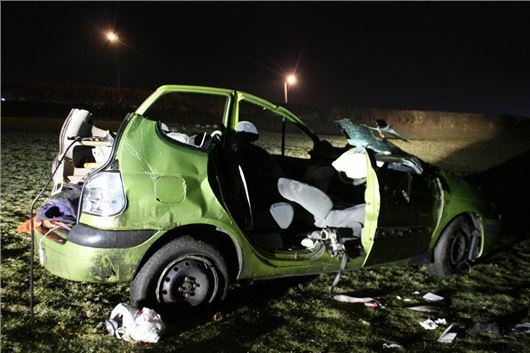 Total reported casualties among car users were 119,708, 4 per cent fewer than 2011. The number of bikers killed fell by 9 per cent from 362 in 2011 to 328 in 2012. The number of bikers reported as seriously injured decreased by 5 per cent to 5,000. Total reported biker casualties decreased by 4 per cent to 19,310 in 2012. Motorcycle traffic decreased by 2 per cent over the same period. Reported child casualties (ages 0-15) in 2012 were 28 per cent lower than the 2005-09 base period average and the number of children killed or seriously injured was 26 per cent lower. For child fatalities alone, the 2012 figure was 52 percent lower than in the 2005-09 base period average. Current best estimate, derived primarily from National Travel Survey (NTS) data and produced in 2011, is that the total number of road casualties in Great Britain each year, including those not reported to police, is within the range 660,000 to 800,000 with a central estimate of 730,000. “The IAM has always warned that failing to match investment in segregated facilities with the growing numbers of cyclists would lead to an increase in death and serious injury and this worrying trend continues. Reported road casualty statistics from Department for Transport: https://www.gov.uk/government/publications/reported-road-casualties-in-great-britain-main-results-2012. The IAM is the UK’s largest independent road safety charity, dedicated to improving standards and safety in driving, motorcycle riding and cycling. The commercial division of the IAM operates through its occupational driver training company IAM Drive &amp; Survive. The IAM has more than 100,000 members in the UK and Ireland. It is best known for the advanced driving test and the advanced driving, motorcycling and cycling courses. Its policy and research division offers advice and expertise on road safety.